Got the need for speed? “Five and Dime" offers serious coaching and friendly competition in a very social atmosphere. 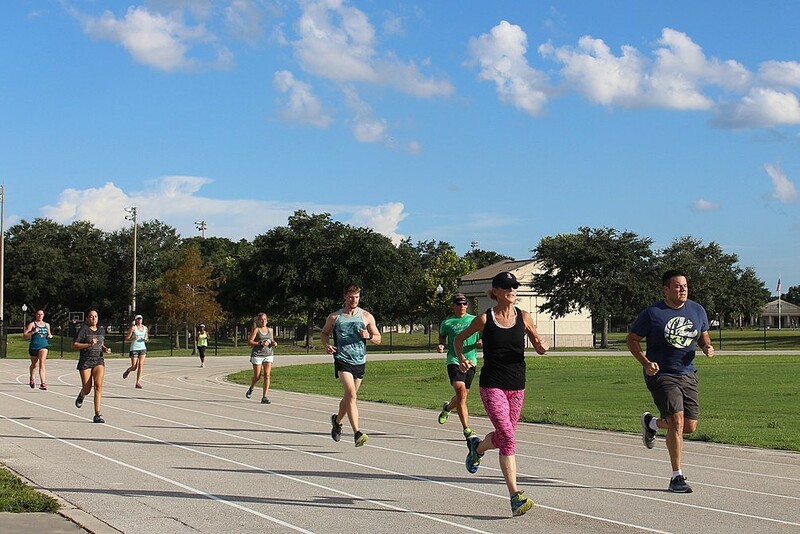 This group coached training program emphasizes speed, strength, and conditioning through track workouts, running drills, tempo training and hill runs. We have three Coaches and divide participants into three different pace groups based on run pace for more specific training. This program meets at the Glenridge Middle School track on both Tuesday and Thursday. Time Trial: A One Mile Time Trial is held the first evening of each session at the Glenridge track for the purpose of dividing runners into pace groups. Each pace group has a Coach. New Sessions begin: August, October, January and March. Thursdays - Hill and tempo runs to make you a faster runner! The training fee is non-refundable. For safety reasons, baby joggers/strollers, bicycles, rollers skates, in-line skates, and dogs will be prohibited from the training sessions. The Track Shack Foundation Training Programs are designed for persons of 18 years of age or older. Persons younger than 18 interested in training, should check with their school for running/fitness programs or check out Cheetahs Running Club.